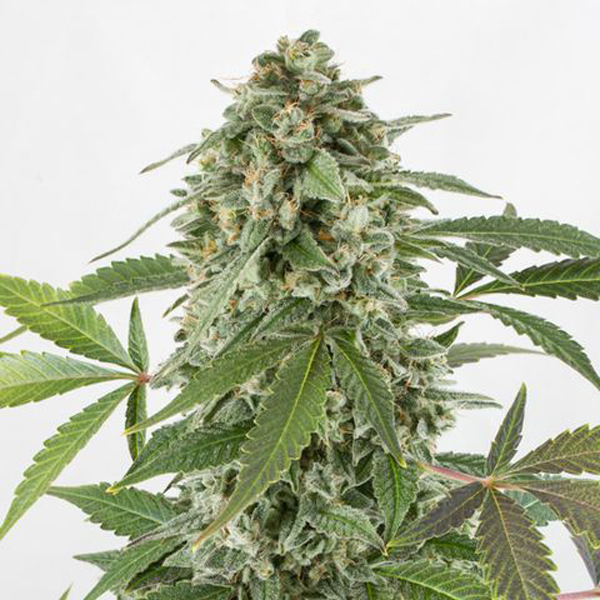 White Widow Autoflowering cannabis seeds by Dinafem Seeds belong to an Indica-dominant, feminized, autoflowering cannabis strain that originates from the cross of a White Widow and a Critical Autoflowering. The result is an automatic hybrid that stays true to the original White Widow. White Widow Autoflowering cannabis seed was created to provide an auto cannabis strain that could be grown faster to the advantage of growers living in areas with harsh climatic conditions. It is a stunning, small, hardy, vigorous marijuana plant that flowers fast and produces dense buds covered in a thick layer of resin with major properties. White Widow cannabis seed is well suited to small indoor spaces and allows you to set a discreet crop outdoors thanks to its small size. It enjoys dry, warm, sunny climates as well as the pleasant atmosphere of the greenhouse. White Widow Autoflowering gives off a fruity, floral, fresh aroma while the flavour delivers bittersweet, citrus, floral hints. The effect is powerful and soothing, an invitation to relax for a long time. As its predecessor, this cannabis strain boasts several medicinal effects.